Vegan diets, when planned properly, are healthy and can even lower the risk of certain diseases, according to the American Dietetic Association. They can be appropriate for individuals in all stages of life, including infancy, childhood, pregnancy and lactation. It is important to note, however, that there is a risk of being deficient in certain nutrients if the vegan diet is not carefully planned. Those who adhere to strict vegan diets are at risk for less than adequate intakes of protein, omega-3 fatty acids, iron, calcium, zinc, iodine and vitamins D and B-12. Because animal foods such as meat, dairy, eggs, fish and fowl are among the best sources of protein, vegans can sometimes lack sufficient protein in their diets. The American Dietetic Association, however, notes that protein requirements can be met if a variety of plant proteins are consumed. Complementary proteins, specifically, can be very helpful in providing all the essential amino acids required by the body. 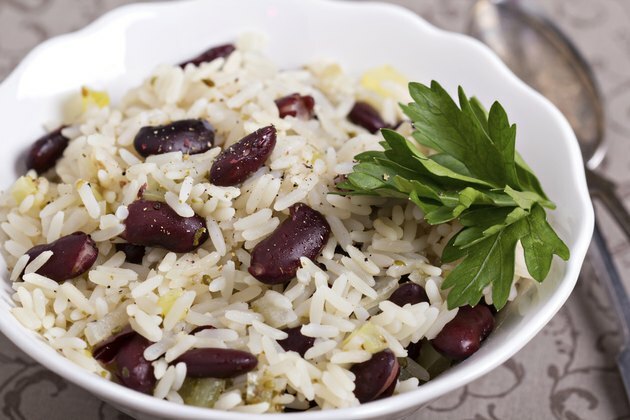 Complementary proteins are made up by two incomplete proteins, such as beans and rice, that, when combined, form a complete protein. These proteins do not need to be consumed at the same meal, just during the same day. Though vegan diets are often rich in omega-6 fatty acids, they can lack sufficient amounts of omega-3 due to the restriction of omega-3-rich foods, including eggs, fish and other seafood. The omega-3 fatty acids found in animal sources, which include eicosapentaenoic acid and docosahexaenoic acid, are important for cardiovascular, brain and eye health. 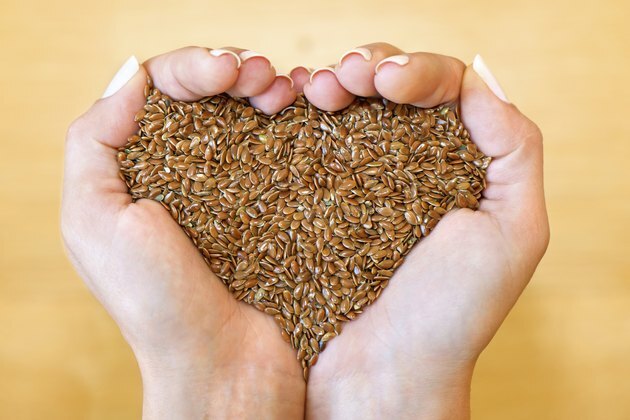 Plant foods rich in omega-3, such as flaxseed, only contain another type of fatty acid, known as alpha-linolenic acid. Vegans can purchase soy milk and breakfast bars fortified with DHA, as well as DHA supplements derived from microalgae. Because DHA can be retroconverted to EPA, sources containing DHA are sufficient for vegan diets. Vitamin D is important for bone health, and low levels have been linked to reduced bone mass. Sunlight exposure is best source of vitamin D. Therefore, vegans who do not get regular sun exposure need to consume dietary vitamin D through either fortified foods or supplements, since vitamin D occurs naturally in very few foods. 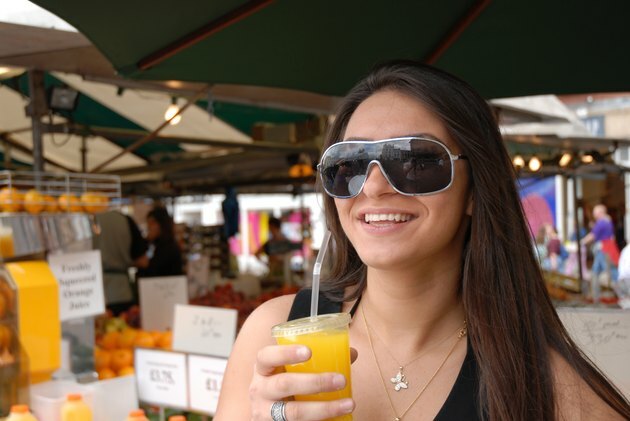 Vegan sources of vitamin D that are often fortified include soy milk, rice milk and orange juice. Lack of vitamin B-12 is one of the biggest concerns with vegan diets, especially because vegan diets are typically rich in folacin, which can mask B-12 deficiency symptoms. Severe B-12 deficiencies can result in both anemia and dementia, notes Harvard Medical School. So, if you're a vegan, be sure to consume B-12 fortified foods such as soy and rice beverages and breakfast cereals, or supplements. Because the bioavailability of iron in vegan diets is lower than in traditional diets, vegans should consume 1.8 times the amount of iron consumed by nonvegans. Good sources of iron for vegans include dried beans and dark, leafy green vegetables. Zinc is another mineral whose bioavailability is lower in vegans than in nonvegans. Vegan sources of zinc include legumes, soy products, grains and nuts. Some research suggests that because plant-based diets are low in iodine, vegans who do not consume key sources of iodine, including iodized salt and sea vegetables, are more likely to be deficient in the mineral. 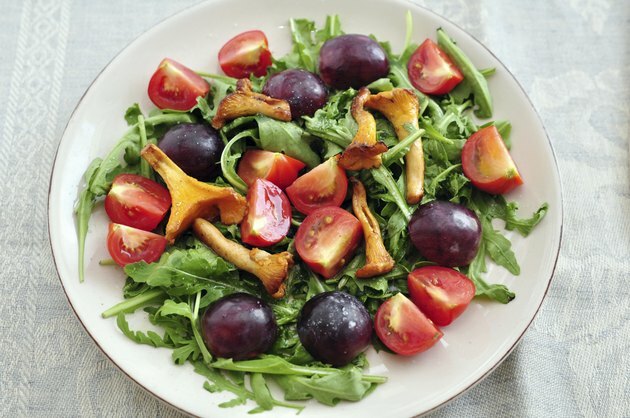 The American Dietetic Association notes that vegans tend to fall below the recommended intake of calcium. 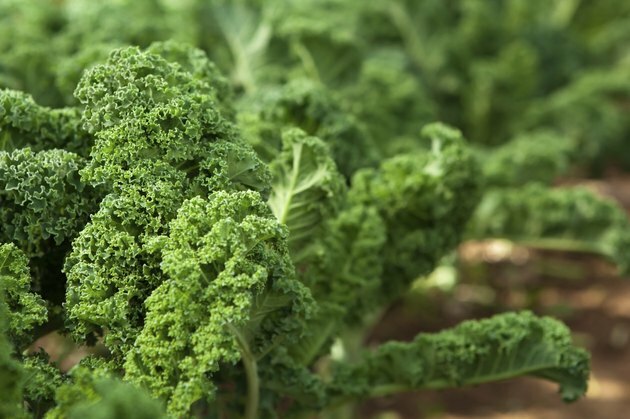 The calcium in certain calcium-rich vegetables, such as Swiss chard and spinach, is not absorbed well, making fortified foods such as fruit juices, breakfast cereal and soy and rice milk among the best choices for vegans. Can Humans Live Without Eating Meat? Can You Be Called a Vegetarian If You Eat Fish?